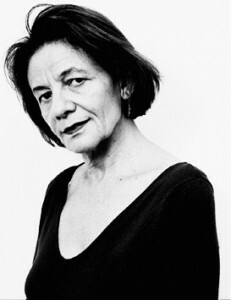 Eva Hoffman is a Polish-American writer and academic, based in London. She was born in Kraków to a family of Holocaust survivors and emigrated to Canada when she was 13, later moving to New York, where she was an editor of The New York Times. She has taught creative writing at a number of US universities and is currently a visiting professor at the Massachusetts Institute of Technology. She is the author of several acclaimed books, both fiction and non-fiction, including Lost in Translation, Life in a New Language (1989); Exit into History: A Journey Through the New Eastern Europe (1993), Shtetl: The Life and Death of a Small Town and the World of Polish Jews (1997), The Secret (2002), Illuminations (2008) and Time: Big Ideas, Small Books (2009).